Be the first to hear about The Tianjin Juilliard School’s upcoming events and performances! 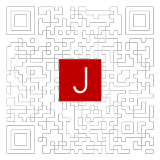 Subscribe to our mailing list below or scan the QR code to subscribe to our WeChat channel and Weibo account. Thank you for your interest! If you are a prospective student interested in learning more about the application process, please use our Pre-College contact form or Graduate Studies contact form.